Have you gotten too big and powerful for your current shared hosting plan? It’s time to claim your own piece of the pie. Your business is thriving and ready to take the next step! A Virtual Private Server (VPS) with CFDynamics is the perfect solution. Choose a platform that can be easily adapted to fit your business’ needs. CFDynamics supports the world’s leading operating systems; our VPS servers feature Intel Xeon Processors and premium server hardware, giving you the power and speed you need to provide reliable and lightning fast services to your clients. VPS technology means that you have complete access to your hardware; Run background processes, try out a new programming language, install new software. With our Virtual Private Servers, you’re in total control! Start with a Virtual Private Servers package that fits your needs today and expand with just a click. Upgrading is easy and affordable. Help your online business evolve with one of our VPS packages now! Virtual Private Servers offer an environment in which other servers are unable to access your memory space or files. Safely process and store sensitive data without worrying that your data will be compromised. Virtual Private Server technology allows for easy access and control of your hardware without the costs associated with other server solutions. Check out our budget-friendly packages below! A Virtual Private Server (VPS) is basically one large, main server that has been split into many different servers to accommodate multiple accounts. Each website hosted on a VPS can have its own operating system without any affect on the other accounts hosted by the main server. A VPS bridges the gap between shared hosting and dedicated hosting. All of the smaller, virtual servers run on their own designated section inside the actual hardware server. And each server from the split can be rebooted without affecting the other side. Choosing a VPS gives you the flexibility to configure your server any way you want- at a much lower price than a server of your own would cost. host multiple websites on a single server. have control over your hosting environment. support multiple users or levels of access, including resellers. At CFDynamics, we maintain the premium Intel based hardware, but you have complete control over your own VPS – and you can configure it however you like. Shared Hosting vs. VPS: What is the difference? There are many differences between Shared Hosting and VPS. Some may argue that the freedom and benefits that come along with a VPS over shared hosting are the most significant. In a shared hosting environment, all data from each individual site is stored on one server. With a VPS, you basically have your own server, with its own operating system that is almost fully in your control. A VPS has the same root access as a dedicated server. You can create, change, or modify anything within the server and install whatever software is compatible with your operating system. Need a server solution for your Windows-based website? Are you hosting multiple SQL databases? You’ve come to the right place. Each of our Windows VPS hosting packages are backed by Hyper-V (see below for more details), and support from our expert staff. Plus we guarantee satisfaction with our 30 day Money Back Guarantee. Choose from our premium Windows VPS hosting plans, including SQL Server, ASP.NET 4, and ColdFusion 9 packages. With a Windows VPS hosting package from CFDynamics, you get a completely isolated, scalable web hosting environment similar to what dedicated servers offer, at a fraction of the price. You can upgrade, adapt and manage all aspects of your Windows VPS hosting package with us. And we continually inspect and monitor our VPS hardware, so you are guaranteed great performance from your VPS. Get Started with Windows VPS! Need a manageable, easy to access server solution for your Linux-based system? 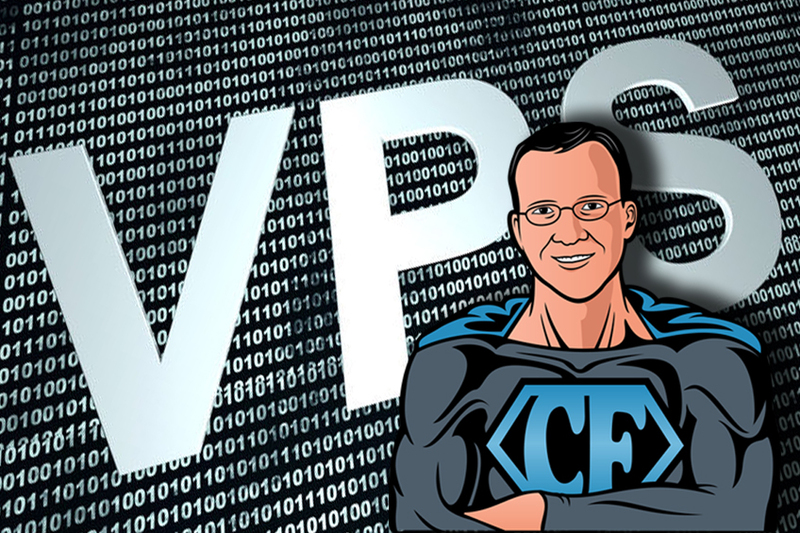 A Linux VPS hosting package with CFDynamics is your answer! Our Linux VPS plans can be tailored to meet your specific needs and easily upgraded as your business grows. Plus you get full root access and can customize virtually anything on your site with our easy-to-maneuver control panel. Not sure which package to choose? Find out more about VPS and what it can do for your business! Browse our packages and Order Now! Most organizations are familiar with the Microsoft platform, many workloads already run on Windows. This makes adopting and deploying Microsoft’s Hyper-V preferable to VMWare. Hyper-v costs less than comparable versions of VMware and offers additional features at no additional charge – no higher end purchases for advanced features. Several core features are available in Hyper-V that are not available with VMware. Multi-core support – up to four processors in a virtual machine! Scalability – diverting resources from one guest to another, or from the host to one of the guest virtual machine(s).